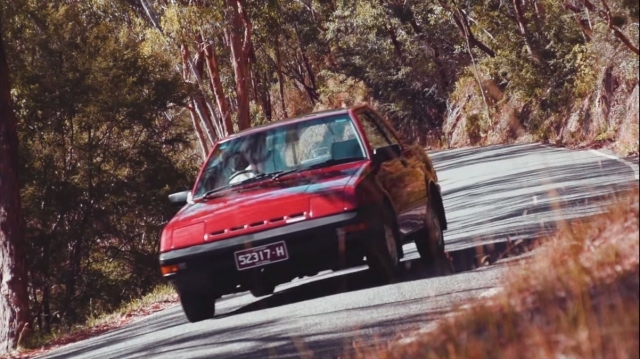 Australian classic car insurance company Shannons has been featured on JNC a few times for their excellent videos about Nihon steel through Aussie eyes. It’s intriguing how the same car can be viewed completely differently by enthusiasts on opposite ends of the Earth, and the N12 Pulsar is a perfect example. In America the N12 Pulsar is completely forgotten and overlooked, even more so than its successor the N13 Pulsar, and that is far from loved. In Australia, however, it was a turbocharged darling and had a fondly remembered racing history in Group C. I love the widebody touring cars they had developed and it’s enough to make me want to build my own. Anyone in the market for a MX83 Cressida needing a head gasket? tagged: australia, group c, N12, nissan, pulsar, Shannons. The N12 turbo was also available in Canada though only with auto trans. Car guy only, before I got the Pulsar). In South Africa, one Hannes Grobbelaar use to rally anything with a Datsun / Nissan badge. He built a Nissan EXA coupe rally car with a modified L28 engine mounted longitudinally. He competed in the local SA rally championship against the Gruppe B Audi Quattros which were imported from Europe, and even beat them in one of the rallies.